Barry McCarthy, Board Member; EVP, Network and Security Solutions, First Data. Barry McCarthy serves as Executive Vice President, Network and Security Solutions. The Network and Security Solutions group provides a range of technology solutions to business and financial institution clients around the world. In this role, he oversees Network Solutions including EFT network services, such as STAR, debit, ATM processing, and Prepaid network services, such as Valuelink, MoneyNetwork and Gyft. He also leads Security Solutions, which includes TransArmor, TeleCheck and First Data’s suite of fraud prevention solutions, and he manages the government solutions business. Previously, Barry was responsible for the turn-around of the company’s Financial Services segment. In less than 18 months, he restored robust revenue growth, increased profit more than 20% and margin by 1100 basis points. Additionally, he played a leadership role in the company’s historic collaboration with Apple™ on Apple Pay™. Barry held other executive positions during his 10 year tenure at the firm, including leading the merchant business in Asia, as well as global product and relationship roles of increasing responsibility. Prior to joining First Data, he led the turn-around of the VeriSign (NASDAQ: VRSN) payments business now owned by eBay/PayPal (NASDAQ: EBAY). He co-founded and later sold MagnaCash, a Silicon Valley-based micropayments company, whose technology, through subsequent transactions is currently owned by Digital River (NASDAQ: DRIV). Barry first entered the payments technology industry at Wells Fargo (NYSE: WFC), where he was ultimately responsible for the 14 million card and 6,500 ATM business. Barry started his career at Procter & Gamble (NYSE: PG), where he spent 12 years in brand, customer marketing and sales management roles, where he launched dozens of successful new products on Oil of Olay™, Secret™, Sure™, Old Spice™. He served as non-executive Chairman of eSurg,com, a venture-backed, online medical supply start-up that was acquired by Henry Schein (NASDAQ: HSIC). He also served on the boards of Merchant Link™ Corporation, and bank merchant processing joint ventures with PNC, Standard Charter Bank (Singapore), and ICICI (Mumbai). In the community, he currently serves as a director on the boards of the Technology Association of Georgia (2015 Chairman-elect), Junior Achievement of Georgia, and Catholic Charities of Atlanta. Additionally, he is the current chair of the FinTech Atlanta Task Force, which was founded in 2015 to establish Atlanta as the recognized global center for financial technology. FinTech Atlanta members work to recruit, retain and expand businesses and jobs across metro Atlanta and the state of Georgia. 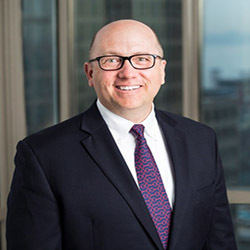 Barry earned his master’s in business administration from the Kellogg School of Management at Northwestern University, and was an undergrad at the University of Illinois, Urbana-Champaign. He has twice served as Chairman of the state-wide, Georgia Technology Summit, and was honored as Person-of-the-Year in 2010 by the National Association of Telecom Professionals™ for his pioneering work in mobile commerce.